Oh Spider-Man, we do love you so. Not only the most popular Marvel superhero, but one of the most popular superheroes, and hell one of the most popular modern fictional characters of all time. The original two Spider-Man films are not only among the highest water marks of the genre. But the character's relevance has been waning of late, especially given that his last 2 cinematic excursions were raw garbage. But he remains immensely popular, so when Marvel reacquired the option to use him in the MCU, it was obvious they were going to exercise it immediately. 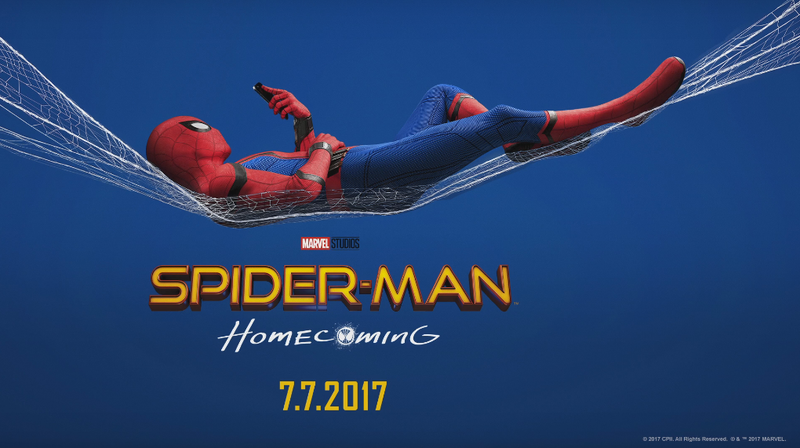 Homecoming is devoted to our titular neighborhood Spider-Man (Tom Holland). In the wake of Captain America: Civil War, he's held on to the special suit Tony Stark (Robert Downey Jr.) gave him and is eager to rejoin the Avengers, but Stark has little time for him and so he's relegated to stopping menial street level crimes. But that changes when Adrian Toomes (Michael Keaton), a former salvager who feels he was robbed of cleaning up the wake of the events of The Avengers by Stark Industries, begins stealing Chitauri tech and building weapons out of it to sell, as well as building himself a wingsuit to help with his theft. 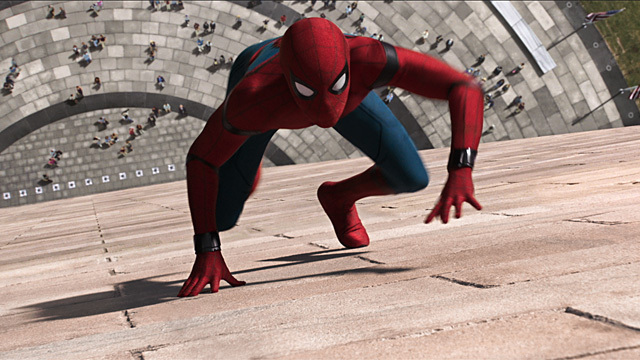 And with Stark and company occupied with moving out of Avengers Tower, Spider-Man may be the only one who can help. Spider-Man: Homecoming is...fine. Okay. Pretty good. It occasionally flirts with being a better movie, but never really stretches for greatness or being anything other than solid. Maybe that's a flaw, but I'm actually pretty stoked about a Marvel movie being willing to be low key and fun, rather than epic and important to the ongoing storyline. So while that doesn't excuse its flaws, it does make me more inclined to overlook them. I also love the running gag about how useless Spider-Man is outside of the very specific confines of NYC. Honestly, the weakest link in the film is Tom Holland as Spider-Man. He's not bad per se and he's a lot of fun, but whenever the film stretches to be more than it is, he's found wanting. Tobey Maguire might be less amusing, but he was much better at the emotional beats than Holland is, at least thus far. The film makes two big attempts to recreate the emotional depth of the train scene from Spider-Man 2, and both times Holland fails to sell them. But more than being straight bad, it might just be that he's outclassed. Obviously Robert Downey Jr. is great as Iron Man, in his semi-regular cameos, but the rest of the cast is just killer. Michael Keaton as the Vulture is easily the best and most engaging MCU villain since Loki, not least because he's sympathetic and interesting in his own right. Jacob Batalon may be playing a small role, but he absolutely kills every second he's on screen, and Zendaya just devours the screen whenever she shows up. And of course, it's always nice to see Donald Glover, even if he barely has more than a cameo. "This looks like a problem that can only be solved by punching!" If the movie has an issue, one that keeps me from being overly enthusiastic about it, it's that it doesn't seem to be about anything. 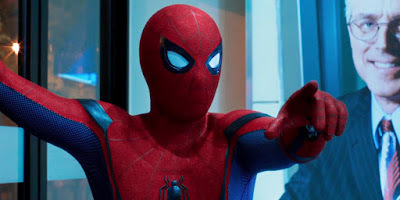 It occasionally strains to have some subtext and themes, but they tend to fall short, and given that they're mostly about how much Peter wants to join the Avengers, they tend to undercut the things I like about the movie. The only one that has any real resonance is the Vulture's thread about how Tony Stark's company is making money cleaning up the mess he himself made, an interesting concept that doesn't get near enough screentime. So what do I like about it? Well aside from the aforementioned actors I like, the action scenes are well put together and engaging, the dialogue feels natural, the movie moves at a good pace and it's often really, really funny. While it may be a slight movie, it's certainly an enjoyable one, and the script and direction do a lot to keep the energy up. And there's nothing wrong with being slight; Honestly, the biggest issue I took with Guardians of the Galaxy 2 was when it decided it needed to have a big, world ending threat, rather than a smaller one. "Is this as cool as the train scene in Spider-Man 2 yet?" Honestly, my interest in the MCU has been waning of late, maybe because none of the top 3 best superhero films of the last 2 years (Logan, Deadpool and Wonder Woman) have been MCU properties. It took me until Doctor Strange was on Netflix to watch it, I never finished Iron Fist and I never even started Defenders. So it's nice to see an MCU movie that was small, engaging and relatable, and also didn't require me to devote more precious brain space to the location of another magic rock. Maybe a few more like these, and the bigger stories will start to feel big again, rather than the norm. Either way, this one is good, recommended. Elessar is a 27 year old Alaskan-born, Connecticut-based, cinephile with an obsession with The Room and a god complex.